Should I Get a Toupee? Question: I started losing hair on the top and front of my head about 10 years ago. My doctor said it is male pattern baldness. I didn’t worry much about it at the time. Now I’m divorced and back in the dating scene. Because of my male pattern baldness, the ladies seem to think I’m a lot older than I really am. It’s hard to get a date! This is putting a damper on my love life. My barber suggested I get a toupee. He called it a “wig system.” Is this a good idea? I want HAIR, not medications. I like the idea of instant results with a toupee, so I can start attracting the ladies. On the other hand, any girlfriend I have will eventually find out I wear a hair piece and might think I’m a phony. Answer from Dr. Shapiro, Hair Transplant Doctor: Since you are in the dating scene, you are thinking clearly about wanting hair. It’s just math. 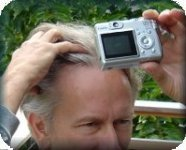 The more hair loss you have, >Continue reading Should I get a Toupee?” />the older you look. The older you look, the fewer number of ladies who will think they are close in age to you, so the fewer who will date you. Minoxidil (Rogaine) and finasteride (Propecia) are medications that can help reduce hair loss due to male pattern balding. And they can help hair grow more thickly, and grow back. But once you start these drugs, you have to keep using them. If you stop, any hair you gained will fall out, and hair loss will continue. A negative side-effect is that oral finasteride can put a real damper on sexual performance for some men. Wigs present their own problems. Cheap wigs do not look real. Expensive wigs may look a bit more natural, but they are expensive. Wigs can be hot and itchy. Imagine the humiliation if the wig fell off! Attaching a wig can be problematic. When a wig is used short-term for a special occasion, such as an actor dressing for a performance, the natural hair is pressed tightly to the scalp using a wig cap and the wig is fastened to the cap. However, since you will need to wear your wig every day, your barber or hair dresser may have to shave part of the scalp and attach the wig with an adhesive (glue). When the wig is taken off, the already-weak hair follicles in that area will be pulled and stressed, making hair loss worse. A wig, and the scalp under the wig, need to be maintained on a regular basis. This takes time and money, and the lifetime costs add up. You might have heard about hair weaves, but just like a wig, hair weaves need constant maintenance and money. They don’t always look natural and might scare off potential dates. When a date touches it, she will feel tiny knots and may notice a difference in texture if artificial hair is woven in. Have you heard about hair transplants? A hair transplant uses your own hair. It looks and feels natural even when a girlfriend runs her fingers through it. This is because it is your own natural hair. It is permanent and needs no special ongoing maintenance. The good news about your male pattern baldness is that it only affects the hair on the crown and hairline, not the sides and back. Hair is transplanted from the back and/or sides to the thinning areas and stays there. Your body treats it like your own normal hair. A hair transplant is done in by a hair transplant surgeon in a medical office under local anesthetic in just a few hours. You are fully awake and relaxed. The best method is the strip method, or Follicular Unit Transplant (FUT). A strip of hair is removed and the area carefully closed, typically using a trichophytic closure, so that little or no scarring takes place. (Beware of the punch method, which may be more likely to scar). The hair follicles from the strip are separated into small bunches of 1 to 5 follicular units. They are artfully placed into tiny incisions in the balding areas of the scalp to create a natural-looking hairline and good results throughout the balding area. In my offices, bandages are not needed. Any remaining hair in the transplanted follicles fall out within a few days. Typically, hair starts growing in the transplanted follicles 2 to 6 months, with full growth in 10-12 months. Since you are in a hurry for results, you will want to use Accelerated Follicular RestorationTM (AFRTM). After the hair transplant, simply take Dr. Shapiro’s Help Hair Shake as directed. This delicious whey-protein concentrate-based shake contains special vitamins, herbs and minerals to help hair. A study showed that hair grew back after a transplant in 6 weeks to 2 months, much faster than without my shake. Think through your options and best of luck with the ladies! This entry was posted in Hair Loss, Hair Problems, Hair Transplant, Hair Transplants, Health - General on November 30, 2010 by Larry Shapiro.